Hearing loss is often something that emerges slowly over time. Sometimes it can be so slow that people, including the sufferer, fail to notice and assume that it’s a regular part of the aging process. But your sense of hearing is essential. You rely on it not only to stay safe but also to work effectively and sustain intimate relationships. Identifying that you have a problem is the first step in managing hearing loss. Here are the most common signs that you may have a problem with your hearing. Are you often in conversations where you have to ask people to repeat themselves? If so, you could have a kind of hearing loss which prevents you from clearly perceiving individual voices in loud environments. Turning the TV volume up over time is often an indicator of hearing loss. The good thing about the television volumes is that they give you an objective benchmark against which to measure the extent of your hearing loss. For instance, a year ago you might have comfortably listened to the television on volume setting “20,” but now you need to set it to “30” to achieve the same clarity. 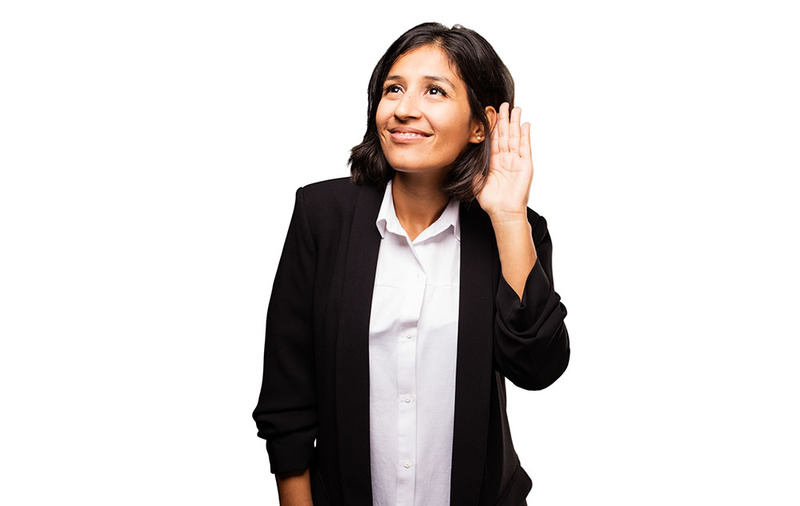 Our brains evolved to allow us to hear specific sources of sound in the environment selectively, but hearing loss can disrupt this finely-tuned system, making it difficult to focus. Speak to your audiologist if you notice this problem. You may need a hearing aid. People in the early stages of hearing loss can often struggle to hear what’s being said over the telephone. Women and children have higher-pitched voices than men. High pitched voices can present difficulties to people suffering from a kinds of hearing loss that involves the loss of perception of high-pitched frequencies. Loss of hearing in the higher range is not uncommon. Audiologists can help you manage this problem and offer advice on a suitable hearing aid. If you find yourself getting the wrong end of the stick in conversations, it might be a sign that you have hearing loss. Confusing certain words, such as those containing lots of “f” or “s” sounds, is a common problem. It’s worth pointing out that misunderstanding people is often confused with dementia, which is why it’s essential to visit an audiologist to rule out any issues with your ears. In general, people speak tolerably clearly. Therefore, if you find yourself complaining that lots of people don’t speak clearly enough, it might be a sign that there’s something wrong with your hearing rather than their elocution. Think about whether you ever struggled to hear a particular person in the past. Did you struggle back then because they mumbled? Or is this a recent phenomenon? In summary, there are many signs of hearing loss. If you suspect hearing loss, talk to your audiologist.